I love painting architecture so I was in heaven during my visit to Venice. 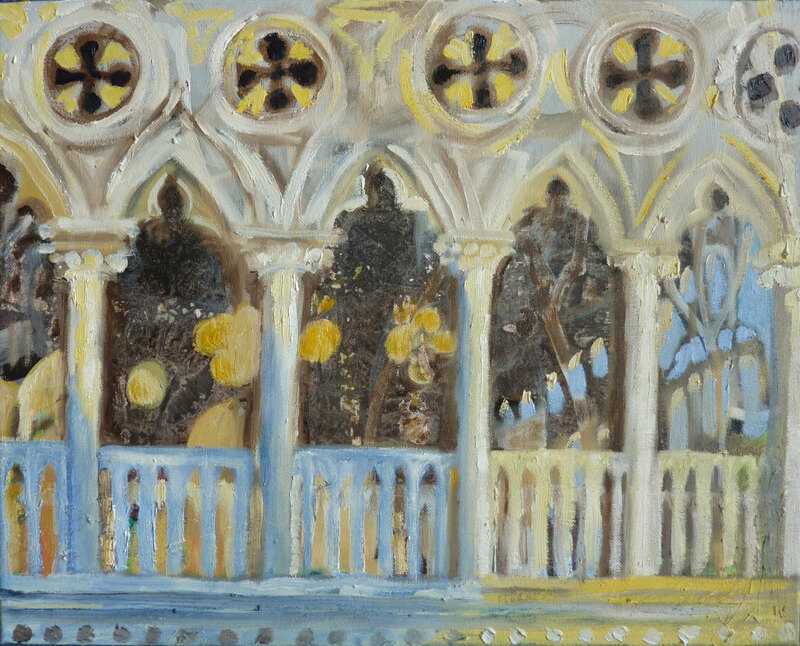 Here is an oil painting I have made of the play of light and shadow on the Doges Palace in St Mark’s Square, Venice. This entry was posted in ITALY, PAINTING and tagged art, diary, Fine Art, journey, Oil Painting, Travel Art, Travel Diary. Bookmark the permalink.